If they fit into your lights, these light bulbs, while expensive, can save money in the long run while adding mood lighting to your home. TP-Link’s smart, LED light bulbs output some 60W of light but use 80 per cent less power than regular light bulbs. They are dimmable and, in the case of the LB130, you can set different colours. They are also WiFi based meaning there’s a great deal of technology inside and that this requires extra space. As such they’re very bulky and may not fit in all lights. They’re also screw-fit based so you won’t be able to use them with bayonet fittings. The bulbs are much larger than regular ones and may cause problems fitting into some lights. There was no way we were getting that cover back on. Setting up is simple. 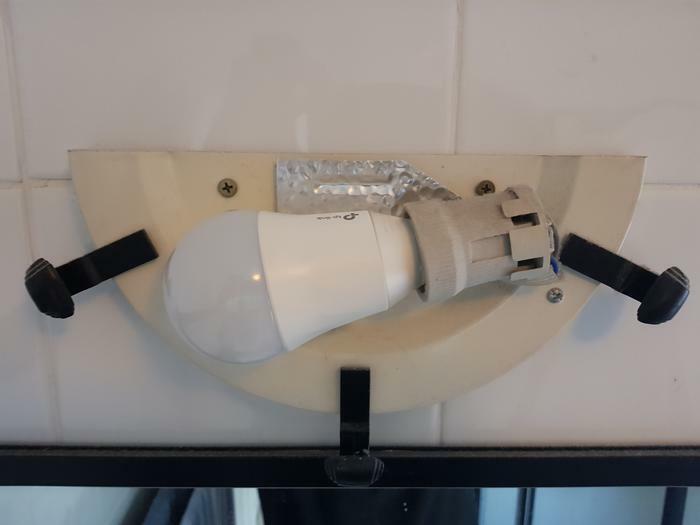 If the bulb doesn’t blink when it’s turned on, you turn the switch on and off three times to reset it. 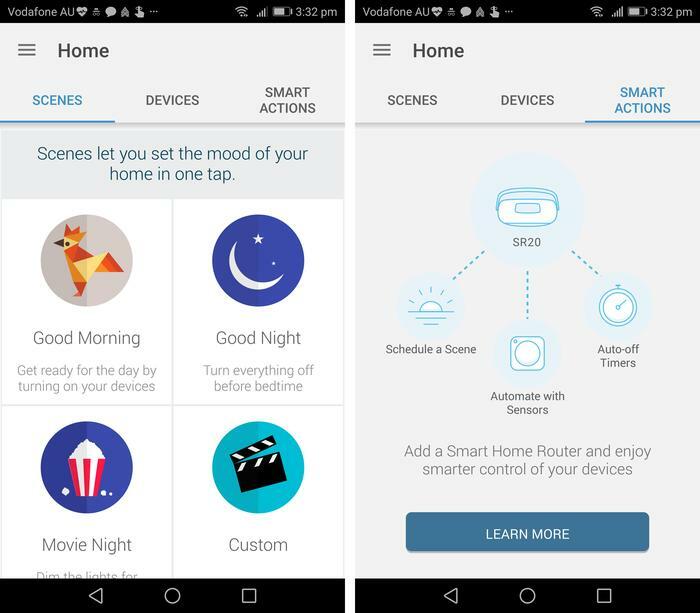 Next you connect directly to the bulb via WiFi and download TP-Link’s smart home Kasa app. This helps you name the bulb and connect it to your main WiFi network. You can set-up mood scenarios with the Kasa app and connect it with other sensors to automatically switch on and off. It's easy to track usage and change colour to a minute degree. 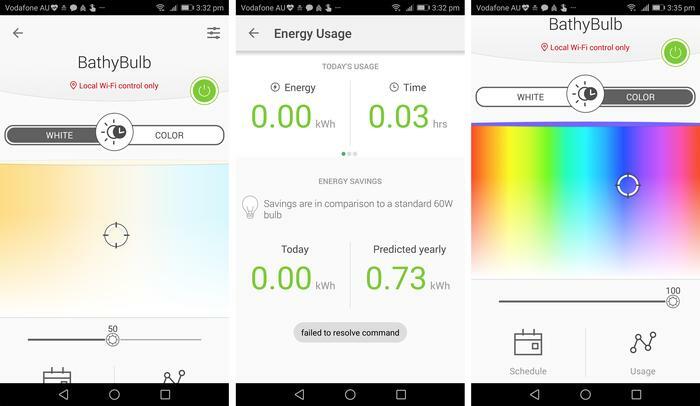 Once you're up and running, the app will allow you to change colour and brightness. You can plump for candle-...light-like colour tones or go full puce and brothel-like red. What’s missing is a disco setting to automatically change the lights… this was seriously something that the kids asked for. Pink Bubbles! 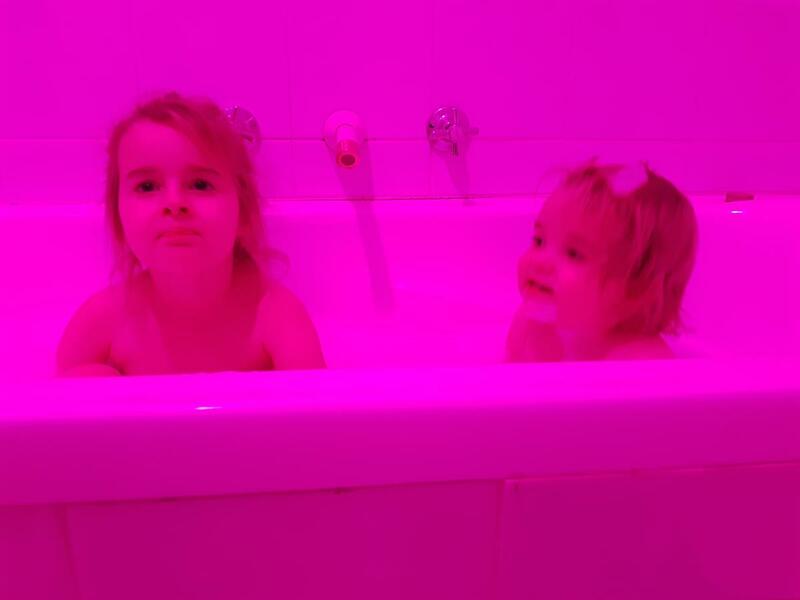 Bathtime becomes more fun but then you have to stand there and keep changing the lights because the app won't do it automatically. The app also allows you to automatically set on and off times or link specific colours with various moods – dinner mood, movie mood, wake up and bedtime moods, for example. Or you can just make bath times more fun. The bulbs can connect to TP-Link's other smart home technology and can also be voice-controlled via the likes of Google Assistant. If the app isn’t connected, the light will turn on using whatever the last setting was. When opening the app, sometimes changing settings was instant but on other occasions it would take a few minutes to connect before implementing every forlorn change you’d tried to make... all in a matter of a few seconds. 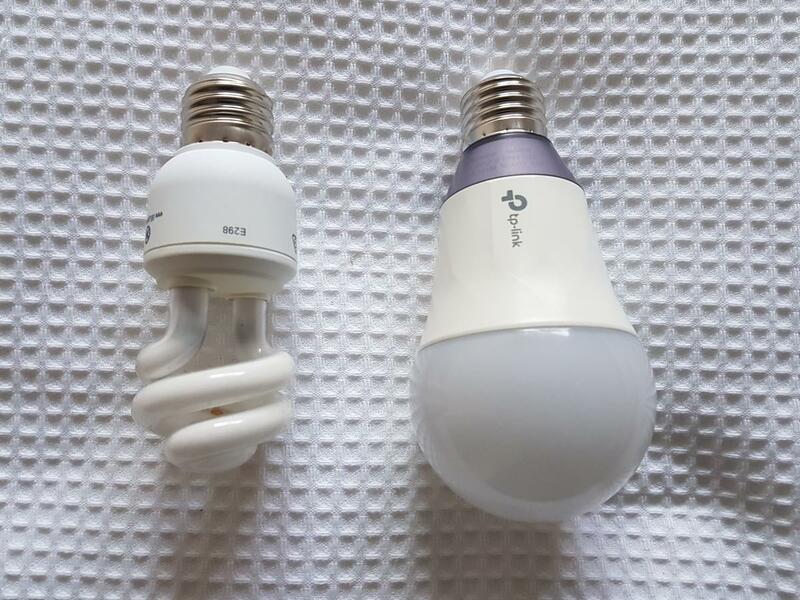 The plain white LB100 bulb costs $30 while the colourful LB130 costs $50. They’re expensive but will last much longer than filament or fluorescent bulbs and therefore likely pay for themselves in the long run.